Where can you learn the latest teaching and learning practices, laugh and learn, unwind with crafts and yoga and find educators as dedicated as you? 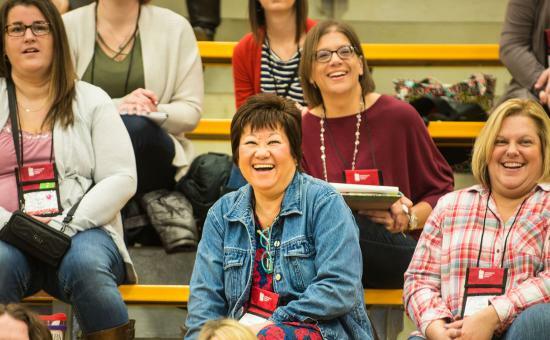 At ISTA’s Good Teaching Conference March 1 – 2 in Noblesville. This is one of ISTA’s most popular conferences, and for good reason. It’s the conference by teachers, for teachers. Educators from across the state – from higher education to PK – 12 – will present at more than 30 breakout sessions. These hour-long sessions will offer you a chance to dive into specific content topics or grade-levels to improve student learning and grow as professionals. The sessions were selected by educators to present both the cutting edge in education, like gamifying your classroom or building a class Escape Room, and the foundations of learning, like self-regulation for improved brain focus or the principals of how we (students and educators alike) learn. There are also sessions geared toward developing as professionals. Explore the newly launched NEA micro-credentials or learn what it takes to become a National Board Certified Teacher. We promise you’ll find something new to bring into your classroom on Monday morning. Join us and get inspired.